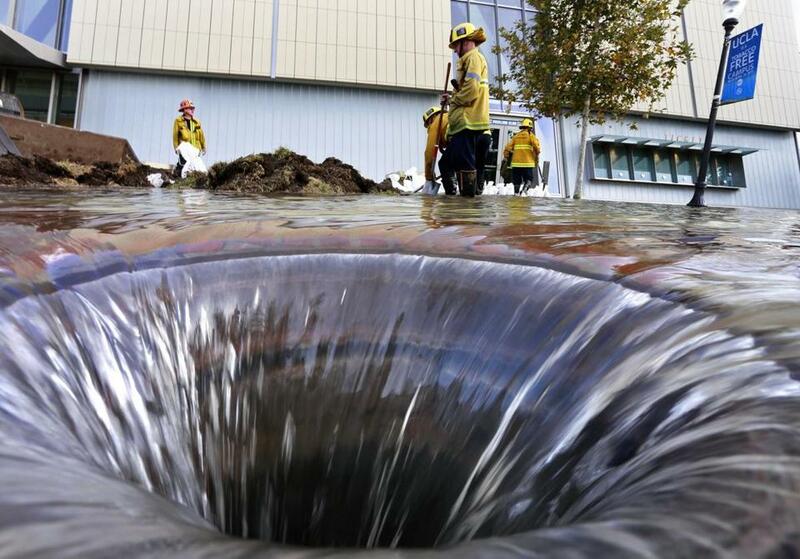 The UCLA campus was flooded by a broken 30-inch water main in 2014. What were they thinking? When British scientist Sally LePage’s parents told her that a technician from the local water company used divining rods to find a water main in their neighborhood, she was flabbergasted. The 450-year-old method of holding two L-shaped rods in parallel until they “magically” cross at the site of a water source seemed a little, well, magical. So she decided to tweet at a dozen utilities in Great Britain and Northern Ireland, and 10 of them reported technicians still use divining, or “dowsing,” rods, alongside more modern tools.